Joel Perilstein practices business law, primarily focusing his efforts in the corporate, commercial, estates/trusts, real estate and tax areas. He has a wide range of general business and corporate law experience, including the drafting and negotiation of complex secured loan transactions, numerous merger, acquisition and related transactions, and overall responsibility respecting various employment, estate planning, franchising, real estate leasing, and corporate matters affecting a variety of companies, individuals and their families. 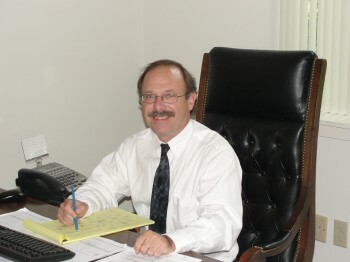 Joel P. Perilstein received his law degree in 1985, with honors, from The Rutgers University School of Law. In 1980, he graduated from Franklin & Marshall College, in Lancaster, Pennsylvania. Prior to attending law school, he became a certified public accountant and practiced public accounting with KPMG Peat Marwick (formerly Peat Marwick Mitchell & Co.) in New York City. As a CPA Joel planned and supervised audits of public and privately held businesses in the banking, brokerage, and manufacturing industries. Throughout his career, he has taught classes and lectured on various business law topics, including choosing the appropriate form of business entity, commercial leasing, employment agreements, secured lending issues and buy-sell agreements. Joel is licensed to practice law in Pennsylvania and New Jersey.